We are green contractors, known for our energy projects helping our clients make homes and businesses more efficient. We separate and recycle metals, consumer waste, hazardous materials, batteries, etc. 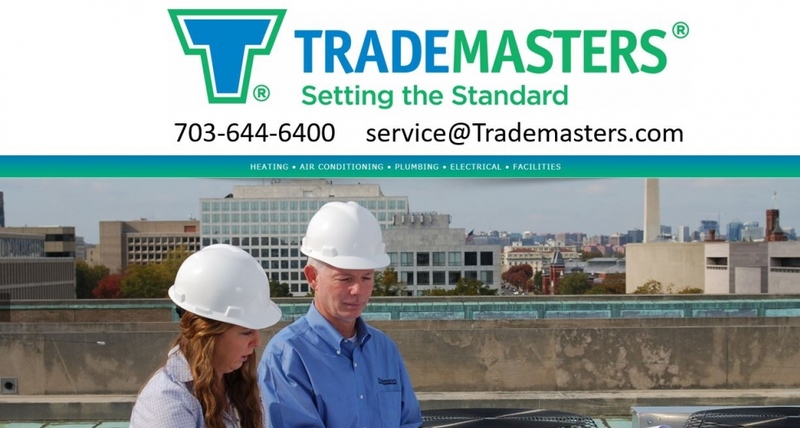 Trademasters: Setting the standard with well-respected technical experts, who are dedicated to providing our clients solutions for a safe, healthy, energy efficient and comfortable indoor environment. Trademasters performs government, residential and commercial heating and air conditioning service, maintenance, equipment replacement, new installation work and plumbing. From residential units to commercial and government systems, operation and preventive maintenance programs, we bring the same level of quality and expertise to all our customers. At Trademasters, we will always uphold a high standard of honesty and quality work. Our co-workers are among the very best in the industry – trustworthy and professional technicians who serve every client with the same care and efficiency. Since our initial inception in 1990, our longstanding goal has remained providing complete satisfaction. In order to achieve and maintain our standard of excellence, we not only offer the best service, but guarantee points that separate us from the competition. We use up-front pricing from our price book, so we will gladly quote you a firm price before the work is performed. You will know what we are charging you before we begin the job. We will not pressure you into work that you don’t need. We give you options and information to help you make an educated decision. Our technicians wear protective coverings on their shoes while in your house, so we don’t bring dirt into your home. Our technicians are highly trained and certified professionals. North American Technician Excellence (NATE) is the leading HVAC/R certification program and is the only test supported certification program by the entire industry. We employ master tradesmen and have an in-house apprenticeship program that helps our technicians constantly stay at the forefront of our industry. We perform pre-employment and random drug testing. We perform background and driving record checks. We maintain a professional work environment with career minded people, so you can feel comfortable having our employees in your home or facility. Our technicians wear protective coverings on their shoes while in your house, so we don’t bring dirt into your home. During equipment installation, we protect your home from damage by using drop cloths and carpet protectors.